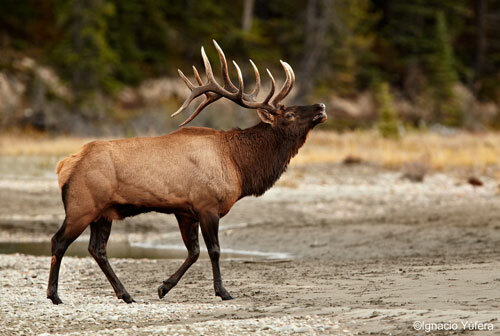 There is nothing like chasing bugling bull elk up in the mountains. If you have ever been on a high mountain elk hunt, you know the type of shape you need to be in. If you haven’t been lucky enough to do such a hunt need to know what to be prepared for when you get there. When you are getting in shape for a high mountain hunt you have to consider several things. The air will be thinner so it will be harder to breathe. You will most likely be climbing steep un-even terrain. You will be carrying guns/bows, packs, binoculars and other gear. You have to be quick and quiet as you sneak up on an animal. Ultimately, you want to be in the best shape to perform at high elevations and still make an accurate, ethical shot on your target. We all know how to get in shape. If you look around the internet, you will find thousands of methods. Choose the one that is your favorite, and like the Nike slogan says, “Just Do It”. Stay focused in cardio training, muscle strengthening, proper nutrition and always work on shooting form. If possible, train at a higher elevation. It will be helpful because your body will produce more red blood cells to help carry oxygen to your muscles. This is especially important when you will be hunting at an elevation where the air is thin and oxygen is hard to come by. When you are training, it really helps to carry a loaded pack. A pack will change your body’s center of gravity and cause muscles you never use to work over-time. If you run, walk or hike with a loaded pack, your hip and abdominal muscles will be strengthened and you won’t have to worry as much about losing your balance as you ascend a steep mountain. I am fortunate to live at a high elevation. If you don’t have this luxury, try to arrive at the high mountain location a couple weeks, or at least a couple days, early. It will give you time to acclimate and your blood time to thicken so it can carry more oxygen to your muscles. If you cannot arrive early, take it slow when you get there. You need to pace yourself as you hunt. Hike in spurts. Look up the mountain and choose a destination or a number of steps you will take. Hike as far as you can without causing muscle strain or losing your breath. Take breaks as necessary so you don’t become light headed. You need to start drinking water before as well as during the hunt. Our bodies need water in order to function properly and hydration is important in fighting off altitude sickness. Staying hydrated keeps the muscles moving and helps to avoid muscle cramps. At high elevations the body is working overtime. You will be burning huge amounts of calories. It is important to pack the proper food to stoke your internal fires. Chips and cokes aren’t going to cut it. A good balance of carbs, protein and healthy fats will help the muscles stay strengthened and allow you to persevere during a high mountain hunt. As I mentioned, it is important to pace yourself during the hunt. You don’t want to be so out of breath when you see that animal of a lifetime that you aren’t able to make the shot. 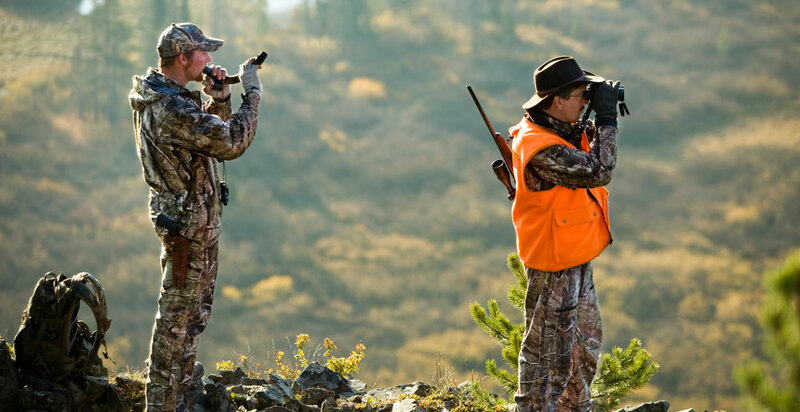 If you over do it on day one of the hunt, you may be sore and unable to continue the next day. Hunting often means early mornings and late evenings. Keep in mind that a mid-day nap can help your body rejuvenate itself. You want to have enough energy to hunt day in and day out, but also enough strength to field-dress and pack out the animal. Early symptoms of altitude sickness can feel like the morning after a fun night of drinking. You may begin to get a headache, feel dizzy and/or nauseous. A lot of times you don’t feel like eating or drinking. As I mentioned before, you need to make yourself drink lots of water. Even though you don’t feel like eating, your body has burned a lot of calories. Make yourself replace them. If you have symptoms altitude sickness, you need to let your body rest. A high mountain hunt can be a lot of fun and you may see the animal of a lifetime. If you’ve been on one, you know the feeling of accomplishment it can provide. If you haven’t gone on one, it’s time to get out and give it a try. Stay focused on training and be prepared for the hunt of a lifetime.